Category: Website Design Kiltimagh, Co. Mayo, Ireland. 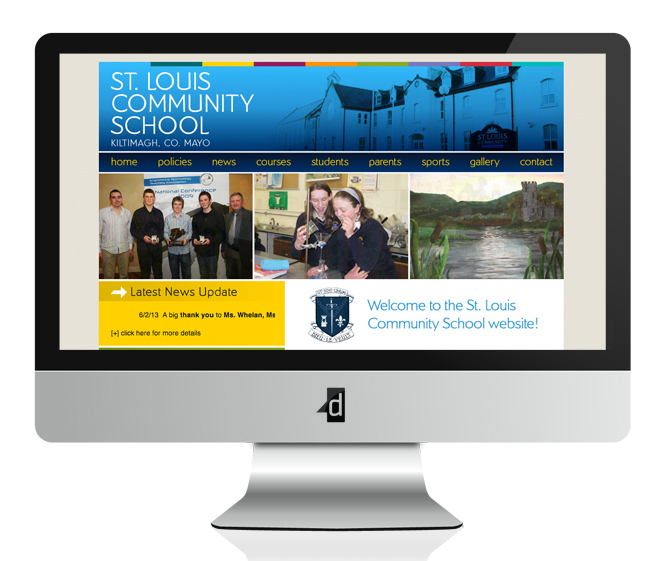 St. Louis Community School in Kiltimagh, Co. Mayo came to designwest to update the look and feel of their site to be professional and yet friendly, with the capacity to edit the site themselves. After the recent cold weather this winter that closed schools for days, the school needed the ability to make quick updates to alert parents and pupils of any current news, which is done through dynamic ticker text prominently displayed on the homepage. The site also links to external education websites such as Moodle and the ePortal, allowing teachers, students and parents to communicate beyond the classroom. Details of school policies, the event calendar and PLC course listings provide valuable information for users.